← My Autobiography in Craft- Part 1. In my first semester of college, I wasn’t taking art classes yet, and I was unemployed—so I was utterly bored. I knitted a large afghan, and also came up with an idea after looking in the pantry at the large collection of plastic bags that my dorm-mates had built up. I decided to cut them in strips, tie them together, and crochet things out of them—my own way of contributing to the “Go-Green” campaign (I was skeptical about the university’s recycling system anyway). With my dad’s help, I distributed bags to three different shops in Jackson Hole, including “Jackson Whole Grocers” and created tags and the brand name “Bag of Bags”. My second semester, I was taking two art studio classes that innovated a lot of new visual ideas. Towards the end of the semester, I had to plan what classes I wanted to take in the fall. 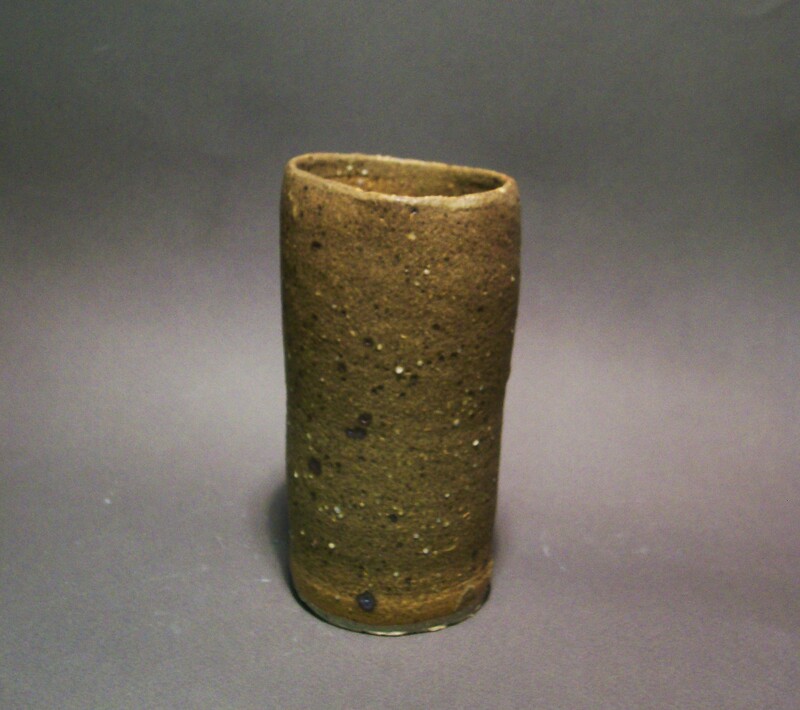 I decided on a whim to sign up for the university’s ceramics class. I was told by my advisor that it was required for graduation from the art college anyway. After that, I was hooked in. 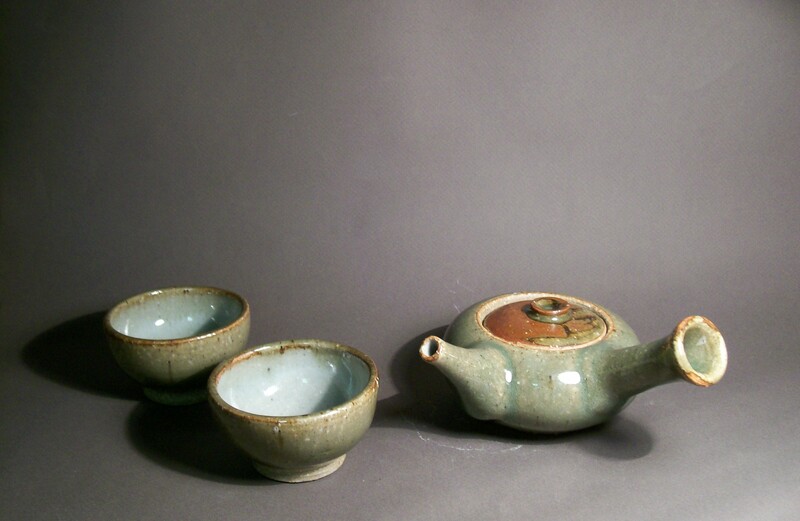 I made three more teapots before that semester ended. With some encouragement from the studio tech, I decided to take the intermediate class the following semester. The class should scare away any beginning thrower—the syllabus included making ten cylinders at 14” tall, 50 bowls, 50 cups, 5 teapots, 8 pitchers, 10 large lidded jars, two vases at two feet tall minimum, 4 dinner plates, and a giant platter—22 inches in diameter. I ended up passing with an A, but decided to take the class again for further practice. I still didn’t feel confident with the quality of my bowls, but I did learn how to throw things that weren’t quite so thick and heavy at the bottom. It took me one more semester to start working seriously with porcelain as my favorite clay material. 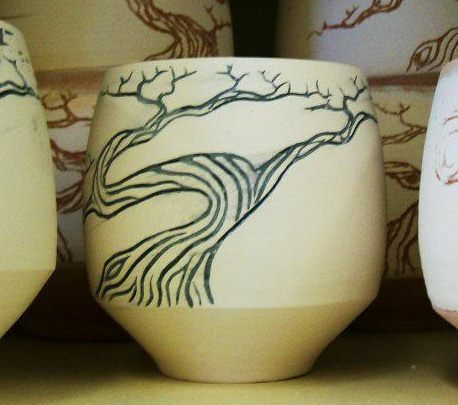 Porcelain was a whole new challenge for throwing. It’s not very friendly towards making larger forms, so I tried a few other clay bodies for when I felt like making anything taller than six inches. The reason for using porcelain was to work on my surface decoration techniques—porcelain makes a smooth clean white canvas, the perfect victim for intricate carving and detailed colorful inlaid drawings. 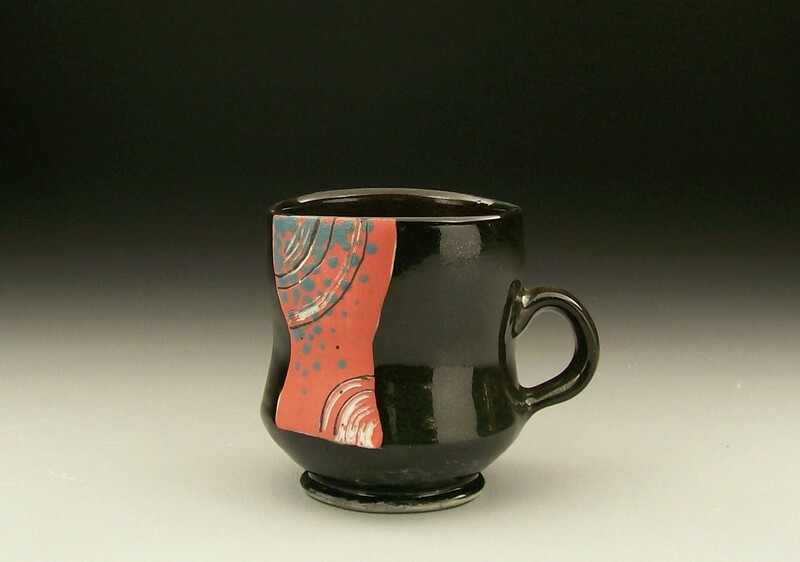 I started buying brightly colored underglazes online, which put my work on a whole new level. It also transformed my process. I did decide to modify the underglazes to make them less chalky by putting a small amount of Gerstley Borate in each color, because I don’t actually cover them with glaze. 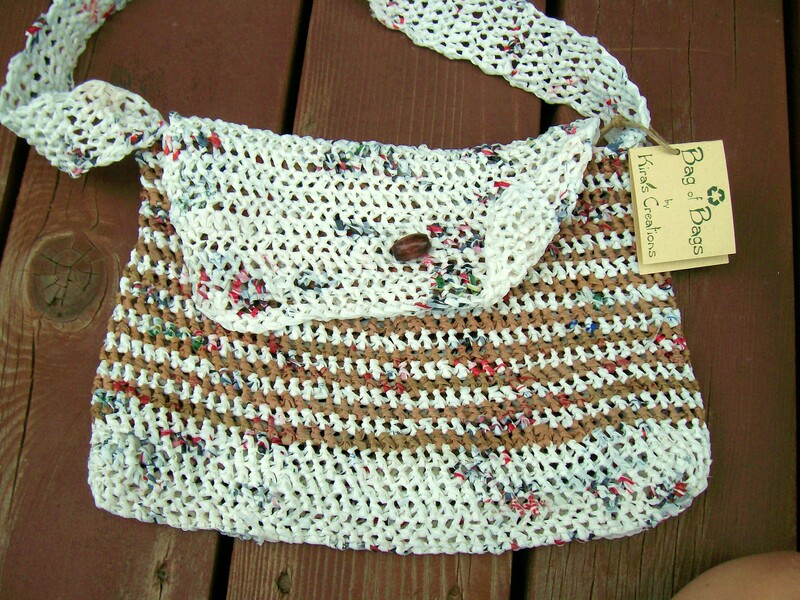 This entry was posted in Art, Ceramics, Deep Thought, Design, Drawing, Nature, Science, Sculpture, Uncategorized and tagged autobiography in craft, bag of bags, ceramic art, craft, kira call, recycling. Bookmark the permalink.